There are many dangers associated with electricity. An accidental shock can cause severe burns, damage to internal organs, and even death. Interestingly, while most people think of electricity in terms of voltage, the most dangerous aspect of electrical shock is the amperage, not the voltage. Voltage and amperage are two measures of electrical current or flow of electrons. Voltage is a measure of the pressure that allows electrons to flow, while amperage is a measure of the volume of electrons. An electrical current at 1,000 volts is no more deadly than a current at 100 volts, but tiny changes in amperage can mean the difference between life and death when a person receives an electrical shock. Although the physics are complicated, some experts use an analogy of a flowing river to explain the principles of electricity. In this analogy, voltage is equated with the steepness, or pitch of the river, while amperage is equated with the volume of water in the river. An electrical current with high voltage but very low amperage can be seen as a very narrow, small river flowing nearly vertical, like a tiny trickle of a waterfall. It would have little potential to really hurt you. But a large river with lots of water (amperage) can drown you even if the speed of flow (voltage) is relatively slow. 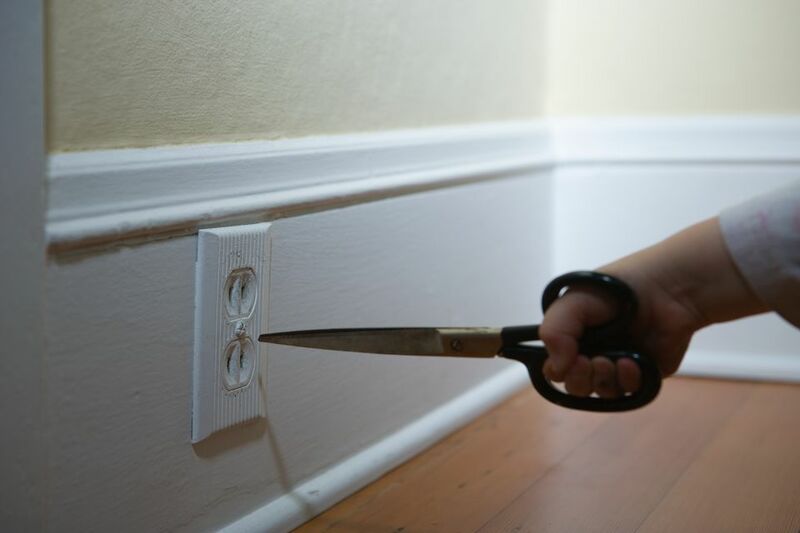 Of the two, amperage is what really creates the risk of death, which becomes clear when you understand just how little amperage is necessary to kill. Different amounts of amperage affect the human body in different ways. The following list explains some of the most common effects of electrical shock at various amperage levels. To understand the amounts involved, a milliampere (mA) is one-thousandth of an ampere or amp. A standard household circuit that supplies your outlets and switches carries 15 or 20 amps (15,000 or 20,000 mA). Little or no electrical shock is felt. Painful shock, but muscle control is not lost. Serious shock, including a painful jolt and loss of muscle control; victim cannot let go of wire or another source of shock. Ventricular fibrillation (uncoordinated twitching of ventricles) of the heart can occur. Ventricular fibrillation occurs, often resulting in death. Severe burns and severe muscle contractions occur. Internal organs can be damaged. The heart can stop due to chest muscles applying pressure to the heart, but this clamping effect can prevent ventricular fibrillation, greatly improving the chances of survival if the victim is removed from the electrical circuit. This gives you an idea of just how much danger there is in the home wiring system we take for granted, where wires carry 15,000 or 20,000 mA. Shut off the power. Always turn off the power to a circuit or device that you will be working on. The most reliable way to shut off the power is to switch off the breaker for the circuit(s) in the home's service panel (breaker box). Test for power. After turning a circuit's breaker, check the wiring or devices you will be working on with a non-contact voltage tester to confirm the power is off. This is the only way to be sure you turned off the correct circuit(s). Use insulated ladders. Never use an aluminum ladder for electrical work. Always use an insulated fiberglass ladder to keep you safe. Stay dry. Avoid wet areas when working around electricity. If you are outdoors in damp or wet conditions, wear rubber boots and gloves to reduce the chance of getting shocked. Plug power tools and appliances into a GFCI (ground-fault circuit interrupter) outlet or GFCI extension cord. Dry your hands before grabbing any cord. Post warnings. If you are working on the service panel or a circuit, place a warning label on the face of the panel to warn others not to turn on any circuits. Before turning the power back on, make sure no one else is in contact with the circuit.